Redlands, California—A new book from Esri, the global leader in spatial analytics, gives mapmakers of all experience levels the know-how and hands-on experience to practice The Science of Where. 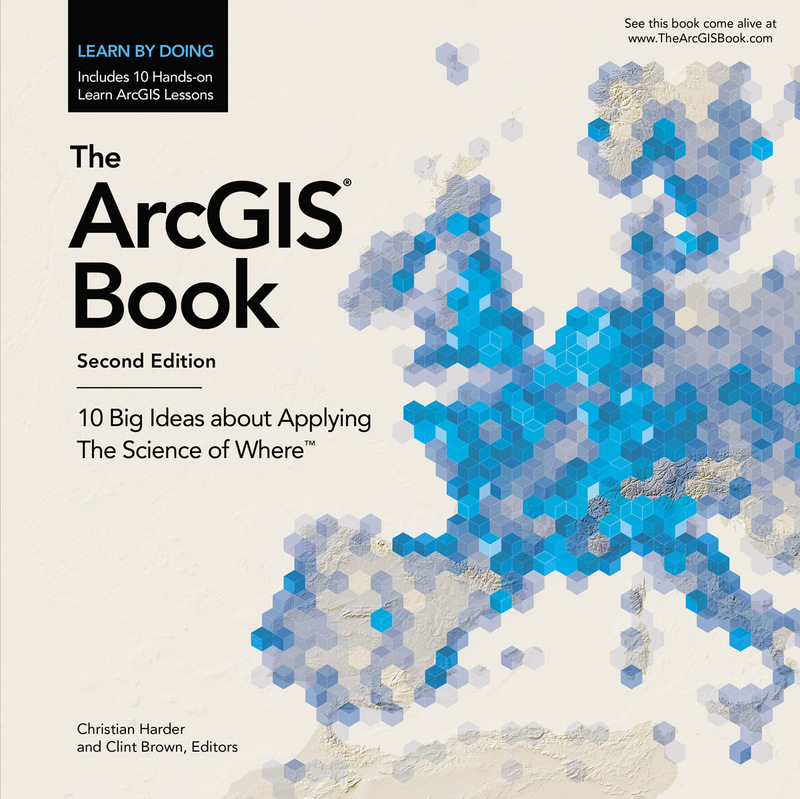 The ArcGIS Book: 10 Big Ideas about Applying The Science of Where, Second Edition, and its companion website offer all the information and interactive education resources needed to jump in and start to use web-based geographic information system (GIS) technology to create maps, work with apps, create and use authoritative data, do spatial analysis, and much more. Web GIS applies the where factor to gain deeper insight into your data. Esri president Jack Dangermond has defined The Science of Where as "the science of geography and the tech of GIS brought together." "The Science of Where transforms the world by unlocking the full potential of data within organizations everywhere," Dangermond said. Available in print, as an interactive PDF, and online at TheArcGISBook.com, the book explains how to use Esri's ArcGIS platform to manage and analyze data and then visualize and share that information in maps to gain valuable location-based insight. Chapters cover web mapping, ready-to-use apps, story maps, 3D GIS, spatial analysis, imagery, the Internet of Things (IoT), and curated content from Esri's Living Atlas of the World. Thought leadership authors include Dangermond; Lawrie Jordan, Esri director of imagery and remote sensing; and Richard Saul Wurman, the architect and graphic designer who founded the TED conference. The online and PDF versionsof The ArcGIS Book are highly interactive with 10 Learn ArcGIS lessons and links to 250 online maps and apps from Esri and the worldwide ArcGIS user community, software downloads, videos, case studies, story maps, e-books, open data sites, the Living Atlas of the World, and many other electronic learning resources. Readers also have access to free membership in the Learn ArcGIS Organization, a virtual GIS computer lab that includes the software and data required to complete the lessons. "It's a multimedia experience," said Christian Harder, the writer at Esri who coedited the book with Clint Brown, Esri director of product engineering. "Every graphic and image in the electronic versions of the book comes to life in the interactive versions. This makes it an excellent starting point for people to learn about GIS or communicate to their friends and colleagues what GIS is all about." 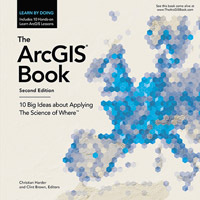 The ArcGIS Book: 10 Big Ideas about Applying The Science of Where is now available in print (ISBN: 9781589484870, 172 pages, US$19.99) and as a free, interactive website (TheArcGISBook.com). The print edition of the book can be obtained from online retailers worldwide at esri.com/esripress or by calling 1-800-447-9778. Outside the United States, visit esri.com/esripressorders for complete ordering options, or visit esri.com/distributors to contact your local Esri distributor. Interested retailers can contact Esri Press book distributor Ingram Publisher Services.